EastEnders bus crash: Is Whitney dead? The shocks just keep coming in Walford this week. After Monday’s surprise bus crash through the heart of Albert Square, locals flooded to the scene of the catastrophe to help the injured. They were able to rescue schoolkids Louise Mitchell, Shakil Kazemi and Bex Fowler from the top of the crashed double decker bus, Donna Yates from under her own market stall and Martin Fowler from underneath the actual bus. In heartwarming scenes, Walford residents banded together to lift the bus in order to free Martin from underneath. 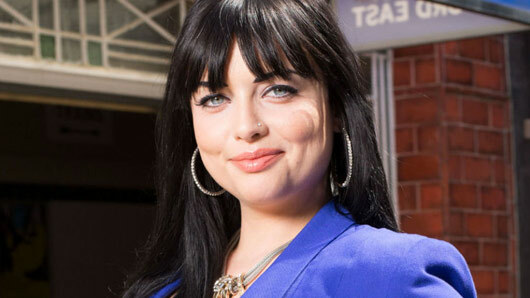 However, in the show’s dying seconds Mick Carter realised that daughter-in-law Whitney Carter’s mobile phone was ringing – from underneath the bus. Is Whitney trapped under the bus? Could the efforts to save Martin have doomed another member of the Walford community? It would certainly be a shock if so, as Whitney was confirmed to be staying on the show despite the departure of Danny-Boy Hatchard, who plays her troubled on-screen husband Lee. However, some fans are already predicting a switcheroo, with Lee Carter being the real victim of the bus crash. He could easily have had Whitney’s phone on him, after all – or maybe they share a ringtone. Some have gone further and predicted that the missing child in yesterday’s episode will play a role in what happens next. It’s all looking very bleak for the Carter family. EastEnders continues Wednesday at 7.30pm on BBC One.